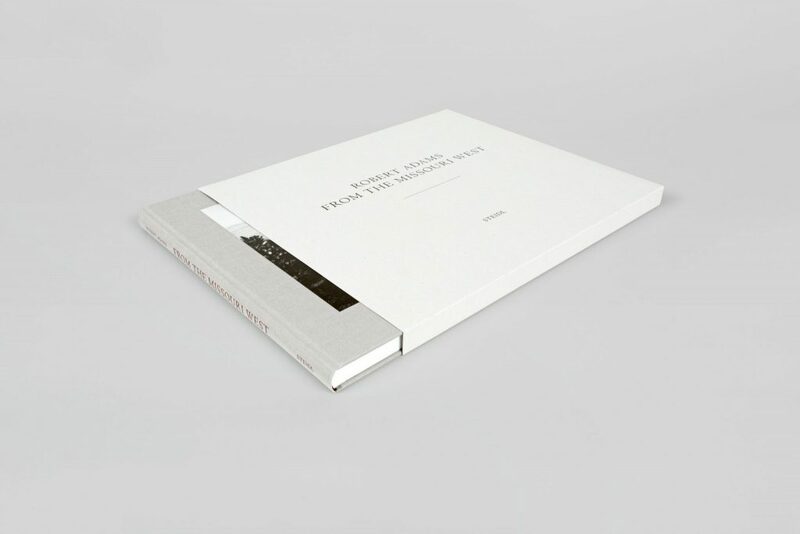 The views making up Robert Adams‘ photobook, From the Missouri West, are of the American West, made between 1975 and 1983. They evoke a wide range of recollections, myths and regrets associated with America’s final frontier. In the nineteenth century, that frontier began at the Missouri River, beyond which lay a landscape of natural grandeur and purity, challenging the spirit and promising redemption. At the time the pictures were made, the hand of man had not so much disfigured as domesticated that paradise, leaving its mark of intrusion almost casually, with the assurance of absolute triumph. Adams recorded this intrusion with neither judgment nor irony; the land he shows has simply been changed, reduced, made ordinary. Yet a second look makes it apparent that the hand of man has, after all, its limitations. First published in 1980, ‘From the Missouri West’ marked a watershed in the history of landscape photography by reclaiming the West’s sublimity as worthy of unromantic reflection. 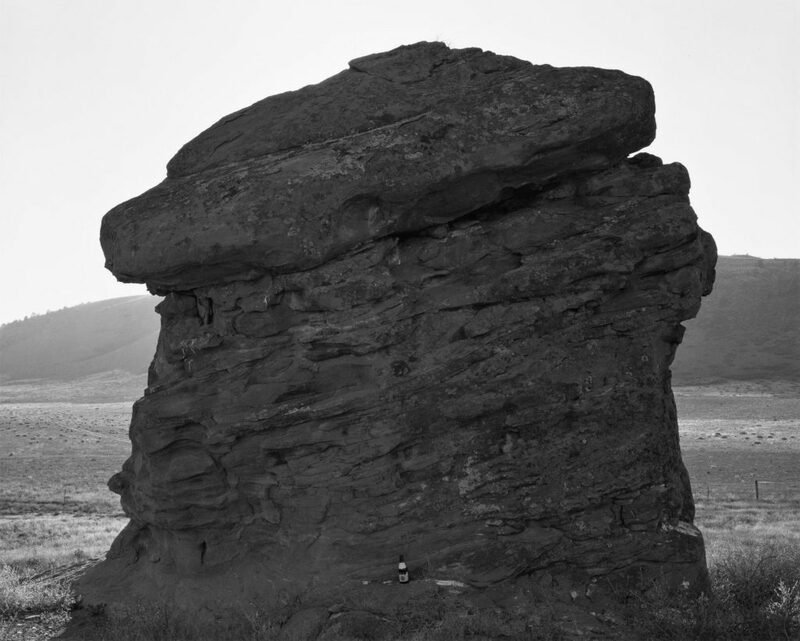 The link between Adams’s work to that of the pioneering figures who surveyed the Western landscape more than a century earlier; in particular Timothy O’Sullivan; is drawn out in this re-edited and substantially enlarged edition of the book. 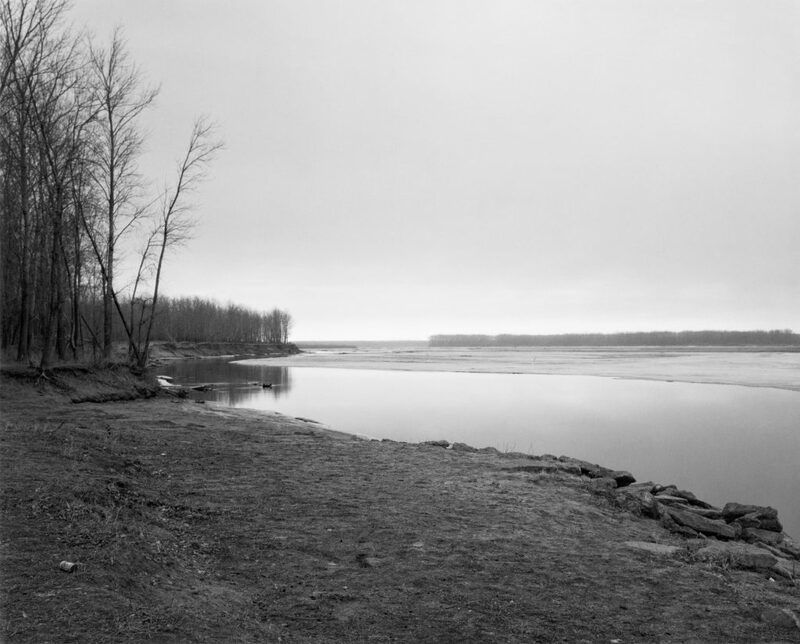 The Missouri River, Clay County, South Dakota, 1977. 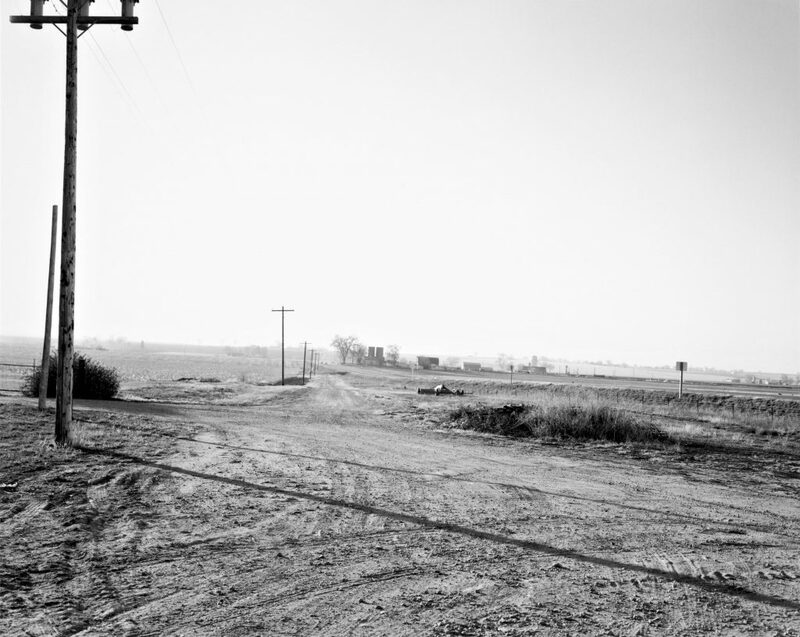 Born in 1937 in Orange, New Jersey, and after earning a PhD in English literature and teaching the subject for several years at Colorado College, Robert Adams became a photographer in the mid-1960s. He has gone on to publish more than forty books of photographs, displaying the changing landscape of the American West as his primary subject. He lives and works in northwest Oregon. Looking west toward the mountains in smog, Weld County, Colorado, 1983. 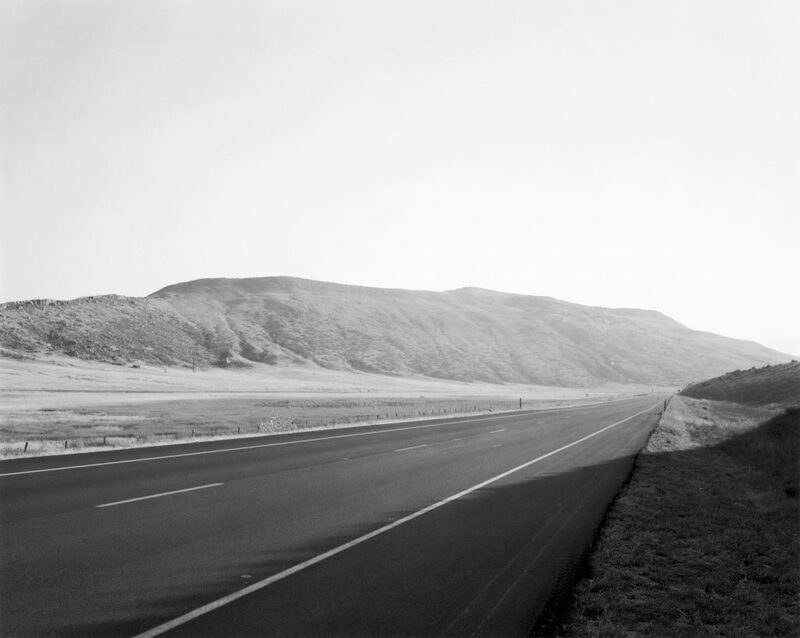 All images © Robert Adams.